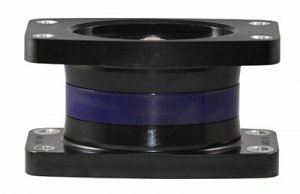 The Isoflex isolator mount was designed specifically for marine applications. 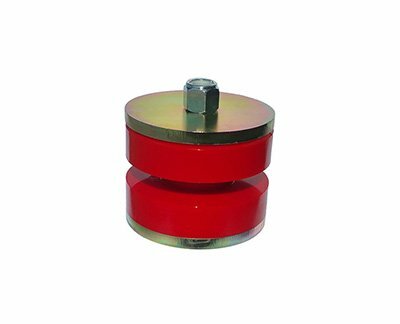 Our products isolate and minimize engine and machinery vibration and produce maximum load-carrying stability. 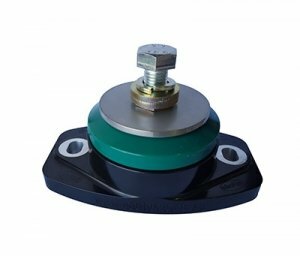 Isoflex mounts or isolators for industrial applications have identical benefits, the most important being that they contain no rubber components, which suffer from degradation due to oils, fuels and water. Isoflex’s engineering polymer materials make for a superior product, ensuring long-lasting use and unmatched durability. Marine Pleasure Craft Owners: Use our product selector tool to help find the right mount for your pleasure craft engine. Isoflex isolators are modular. This allows you to order one of eight different top cores, each with a different durometer (hardness). 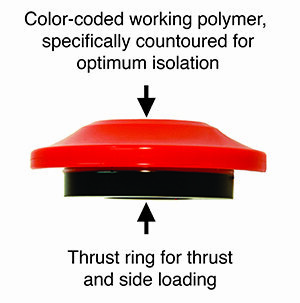 Each unique top core produces a specific vibration isolation characteristic. 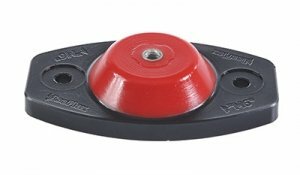 Both the shape and durometer of the Isoflex top core maximize vibration isolation and load-carrying capability. Isoflex will perform an analysis of the engine set-up or equipment to be mounted and tailor the core to isolate the maximum levels of vibration. This way, you will know how the isolator will perform before installation. S Type adjusting stud engine and machinery mounts are designed specifically for high thrust load installations where height adjustment is required. Primarily used in marine and high performance applications including pilot boats, crew patrol boats, high speed RHIBS, fishing and dive vessels, pleasure craft and mil spec. Modular design allows these mounts to retrofit many common mounts found on the market. Fail-safe/captured design is tested to a minimum of 6G force loading in thrust, axial, lateral and inverted directions. Fitted with overload snubbers and patented integral thrust rings for enhanced stability. Metal components are stainless steel and marine alloy, and are zinc plated to mil spec standards. Swivel adjusters allow for misalignment of bearer and brackets for high demand applications are fitted on all larger mounts from M90 and up. Isoflex bolt-down style mounts have the same structure and fabrication as the adjustable mounts, but do not include the adjusting stud component. 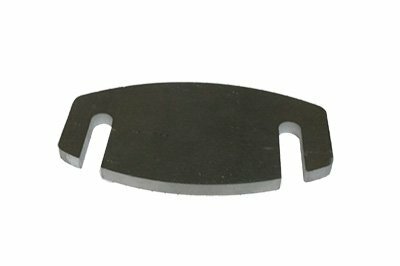 Shims may be required for fine-tuning adjustment. Bolt-down engine and machinery mounts are designed for marine, generators, water makers and industrial machinery. Fail-safe and tested to a mimimum 6G force loading in thrust, axial, lateral and inverted directions. Metal components are stainless steel and marine alloy, zinc plated to mil spec standards. 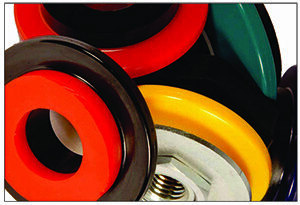 Engineered polymer base and cores for superior resistance to fuels, oils, water. Isoflex general purpose mounts are a cost effective choice for many different applications where there is no thrust involved. These are made with our highly resistant co-polymer and marine alloy hold-down bases for excellent durability and longevity. Used in general applications where vibration can be an issue, including air conditioning units, pumps, compressors, generators, mobile light towers, construction equipment and mining equipment. 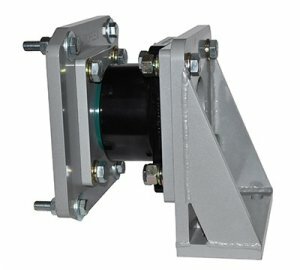 Isoflex dual compression mounts are designed for applications where there is load in both directions. 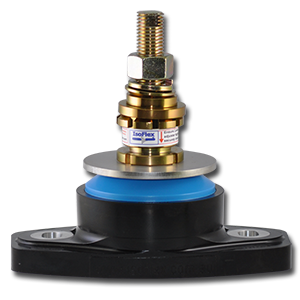 These are made out of Isoflex’s highly resistant engineering polymer, which is of superior quality to standard rubber isolators. Useful for industrial equipment such as fork lift engines, material handling equipment, operator’s cabins, generators and other equipment. Light machinery mounts are supplied with a stainless steel 20mm long hex bolt and flat washer, a stainless steel 20 diameter flat washer and stainless steel M6 flat washers. Suitable for small pumps, electrical boards, water makers, HVAC, auxiliary equipment, small lightweight equipment and many other machinery applications. Add more text. 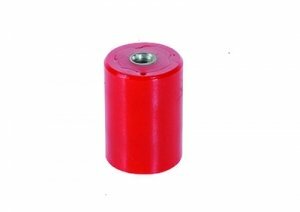 Cylindrical mounts have a threaded insert at both ends. Studs can be added upon request. Used in light machinery and equipment, HVAC and similar applications. 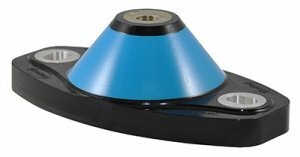 Isoflex fail-safe isolation mounts provide vibration and electrical isolation of superstructure and wheelhouses from vessel hulls. Constructed from engineering polymer and stainless steel components to prevent rot and rust. 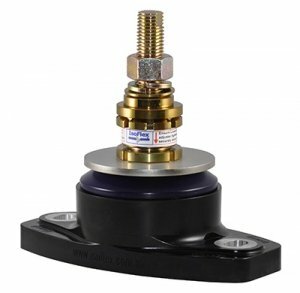 These mounts can be tuned by changing the working core to suit different applications. Dimensions, including height, can be varied in some cases. Tested in all axes including inversion. Frequently used in pilot boats, crew vessels and ferries. This fully adjustable mounting system is designed to handle high thrust conditions to minimize engine vibration in high demand applications. Trunnion mounts can be configured in single, double or triple arrangement, subject to thrust demand. Custom bracket design is available, allowing it to fit most gearboxes on the market. No shimming is required: these are fully adjustable with easily accessible CAM adjusters. Designed to isolate engine vibration in tugboats, towboats, patrol vessels, ferries, yachts and super yachts. This easy-to-install spacing plate for marine engine mounts is designed to lift the mount to the correct height for the engine bracket. It ensures the engine bracket sits as low as possible on the mount’s adjuster stud. Used with the Isoflex swivel adjuster system, it eliminates the need for chocking compound. Cut from marine grade alloy. Easy to install from the side.